Will the US National Telecommunications and Information Administration (NTIA) be able to handover oversight over the management of the DNS root zone and other core databases of the internet in September? 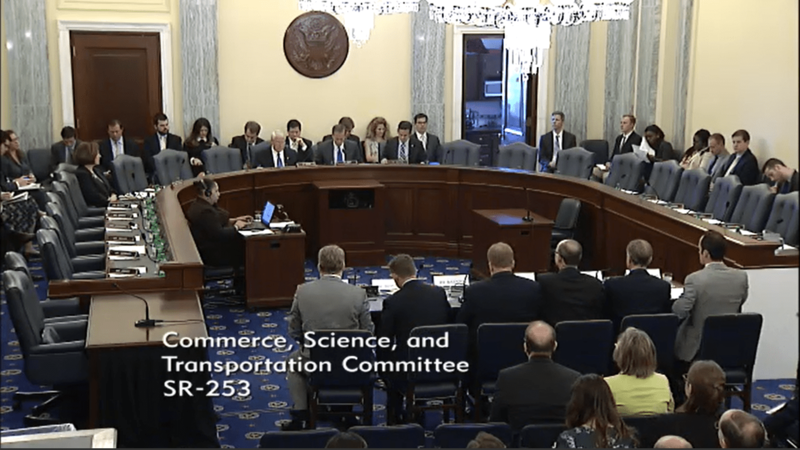 At a hearing of the Senate Commerce Committee in Washington today, proponents and opponents showed off and Senator Marco Rubio, former presidential candidate, strongly supported a delay. The hearing website is here. According a joint proposal of the Internet Corporation for Assigned Names and Numbers (ICANN), the regional internet registries (RIRs) and the Internet Engineering Task Force (IETF), the Internet Assigned Numbers Authority (IANA) shall be managed by the ICANN overseen by its multistakeholder community. The current IANA contract between the NTIA and ICANN, extended several times since 1998, will end on 30 September. Any delay would be a slap in the face of the multi-stakeholder community which has worked on the proposal for two years, three of the five experts heard by the Commerce Committee today warned. “We have a plan, let’s finish this,” said Andrew Sullivan, chair of the Internet Architecture Board (peer body of the IETF). Sullivan pointed out that the checks of DNS root zone changes (for example the addition of new top-level domains) by NTIA officials caused delays in emergency updates, for example when the Turkish ccTLD .tr had needed additional DNS servers while under attack. But several Republican senators were not convinced of the need to make the transition now. Rubio said he was not completely opposed and even recognised that the world had “grown up” and wanted a “greater stake” in the oversight role. But he dismissed that proceeding cautiously would cause an international rebellion. Pointing to stricter Chinese internet control measures published recently, he said authoritarian regimes do not need a pretext to work on their national internet versions or support for a bigger role of the UN International Telecommunication Union in internet governance. Last week, Rubio’s colleague (and former competitor in the US presidential elections) Ted Cruz protested against the transition in a letter to the NTIA. Observers close to the process said at this point it is unclear whether the transition can go ahead during the Obama tenure. Statements in support are available here, and here. A proposal for the future IANA management including ICANN accountability measures, is available here. "Transition Of Core Internet Functions (IANA) Oversight From US Government No Done Deal" by Intellectual Property Watch is licensed under a Creative Commons Attribution-NonCommercial-ShareAlike 4.0 International License.